You’re reading novel Chaotic Sword God Chapter 1381 online at LightNovelFree.com. Please use the follow button to get notification about the latest chapter next time when you visit LightNovelFree.com. Use F11 button to read novel in full-screen(PC only). Drop by anytime you want to read free – fast – latest novel. It’s great if you could leave a comment, share your opinion about the new chapters, new novel with others on the internet. We’ll do our best to bring you the finest, latest novel everyday. Enjoy! The Saint Emperor trapped by the Elven G.o.dtree began a desperate struggle. Terrifying pulses of energy surged out of his body as he attempted to break free from the restrictions of the tree. However, the Elven G.o.dtree was an ancient existence. Its toughness was incomparable to ordinary tree branches. All its branches coiled around the foreign Saint Emperor, wrapping him up like a coc.o.o.n. No matter how much the Saint Emperor struggled, he was unable to break free. The tremendous life force within him was drained away by the Elven G.o.dtree. His presence rapidly weakened during the process and he struggled less and less. He was weakening. On the other hand, the Elven G.o.dtree began to s.h.i.+ne even brighter with its green light. Its huge expanse of vegetation rapidly consolidated. From a closer inspection, it was evident that the tree was not tangible but illusionary. Behind, the lycanthropes entered their battle mode. They became half-human and half-wolf. Their heads remained human while their bodies became wolf-like. They were covered with thick, dense fur and worked together to fend off a Saint Emperor. Though, they were still not the Saint Emperor's opponent. Soon, the lycanthrope Saint Kings all became heavily injured by the Saint Emperor and were dyed red with blood. The berserkers, flame daemons, lamias were the same as the lycanthropes. They all attacked a single Saint Emperor with several Saint Kings or even a dozen Saint Kings, but the disparity between the two cultivation levels was extremely vast. They were still not their opponents even with their advantage in numbers. They all became covered in wounds while the Saint Emperors were barely injured at all. Toward the very back of the Hundred Races was a group of people completely covered by gray cloaks. There were not many of them, only a few hundred, and not all of them were Saint Kings. There were many Saint Rulers, Heaven Saint Masters, Earth Saint Masters, and even Great Saint Masters among them. They currently all sat on the ground. They formed an odd formation while their hands were forming seals, and they were also chanting. They were the shamans of the Hundred Races. They were not powerful, and there were less than a thousand of them in total. They were known for their curses. "Heavenly Awakening!" Suddenly, all the shamans called out together. Their voices were hoa.r.s.e, but they were filled with an irresistible charm. Their voices actually drowned out the sounds of battle. An odd pulse radiated from all the shamans, before fusing together into a single ripple that shot toward a Saint Emperor. The ripple seemed to be able to pa.s.s through s.p.a.ce and time, striking the Saint Emperor who was fighting against the berserkers in a single moment. The Saint Emperor suddenly froze and vomited blood as if he had been heavily injured. His body cracked like a vase and was dyed with blood in the blink of an eye. At the same time, the ferocious attacks from several berserkers struck the Saint Emperor, causing his body to fall apart and disintegrate on the spot. Only his soul remained, filling him with fear. However, before his soul could escape, it was cleaved into two by a berserker, killing him off completely. There were two figures hidden in the empty s.p.a.ce among the battlefield of the Hundred Races. They did not give off any presences or any traces of existence, where even Saint Emperors struggled to discover them. Even when s.p.a.ce violently shook, it was not enough to force them out. They both wore long, silver robes. They possessed an elegant stature and were able to move about secretively. They could always attack from behind and catch their opponents off-guard, dealing a fatal blow. They were the shadows of the Hundred Races. They possessed a glorious past in the ancient times, but they had declined now. There were only ten people in total who were apart of their race, and the two present here were the two strongest rulers. They were Saint Kings of the Fifth and Seventh Heavenly Layers. The ground violently shook as several giant, hundred-meter-tall rockmen fought against the foreign Saint Emperors. Their bodies were extremely tough, but they were still unable to endure the attacks from the Saint Emperors. A large boulder would shatter when they were hit by an attack, or the attack would even pierce them. The rockmen were extraordinary. They did not possess flesh or blood, and their vitality was just overwhelming. Their bodies rearranged themselves time after time. Even though it seemed like they had been beaten to a horrendous shape, their battle prowess did not decrease at all. The Sea race was the most miserable. Only a portion of the Sea G.o.ddess Hall had come, and they did not have a Saint Emperor leading them. They had to resist the attacks from the foreign Saint Emperors by themselves, so just after a few short moments, five Saint Kings had fallen. Only two of them managed to flee with their souls. The three Saint Emperors of the Beast G.o.d Continent fought at the very front. They were extremely powerful and, coupled with their bodies as magical beasts, they were extraordinarily tough. There was rarely anyone from the World of Forsaken Saint who could take them on in a one-on-one situation. This did not mean that the Saint Emperors of the foreign world were weak but that the three Saint Emperors had already reached a higher level in cultivation as Saint Emperors. They were already stronger than quite a few of the invaders, which was why they could keep them at bay. However, Kaiser, Lankyros, and Cangqiong all bathed in blood right now. They were rather injured as they had to stop several Saint Emperors each. The battle was absolutely devastating. All the ground below had virtually been destroyed, forming countless, bottomless ditches. Gentle waves of heat radiated from below. They were already approaching the mantle of the land. The entire Tian Yuan Continent violently shook. The ground in the center of the battlefield was close to disappearing completely. The pitch-black cracks in s.p.a.ce constantly spanned out and did not close even after a very long time. The Hundred Races, Sea race, and magical beasts were faced with extremely great pressure. Many of their experts had fallen. Only the humans had it easier. Jian Chen and Xiao Ling lead the humans into the depths of the enemies. Xiao Jin had been sent to Changyang Zu Xiao and the others' side, by Jian Chen, to ensure their safety. Xiao Ling's mind was not fully mature, but she struck out extremely decisively and without any hesitation or mercy. She was an Origin realm expert, so the Saint Emperors were no different from ants in her eyes. With a wave of her hand, she shot a wave of white light toward the foreign Saint Emperors. The white light possessed unfathomable power, and as soon as the Saint Emperors came in contact with it, they would vomit blood and become heavily injured. A few weaker people even died after touching it. At that moment, the concept of ant-like Saint Emperors was truly displayed through the use of Xiao Ling's hands. Jian Chen fought as hard as he could as well. He charged into the groups of enemies while wielding the Zi Ying Sword, using all the power he had to fight. He used his Chaotic Force to supplement his Way of the Sword, pus.h.i.+ng his battle prowess to the limits. In just a short moment, he managed to kill over a dozen Saint Emperors while even more were injured by him. The Qing Suo Sword did not sit on his back idly either. He controlled it with his soul. He had split his attention, using the Zi Ying Sword to kill his opponents while the Qing Suo Sword swept the skies. There were many humans behind them who used Saint Tier Battle Skills. They drew in the pressure of the world as several of them would attack a single foreign Saint Emperor together. The Heavenly Enchantress sat high in the air near the back of the human side. She placed the Zither of the Demonic Cry on her knees as she played it with all her focus. Each note seemed soft, but they were as loud as great big bells. They drowned out all the sounds of fighting, allowing everyone to clearly hear them. The sound of the zither targeted specific opponents. Whenever the foreign Saint Emperors heard the sound, they would immediately feel their souls quiver. They would alternate between muddle-headedness and drowsiness from time to time. Illusions would would also be conjured before them. A huge zither seemed to have condensed behind the Heavenly Enchantress. The thirty-six strings were clearly visible, and they were gently trembling. The resonated with the sounds fr the Zither of the Demonic Cry. 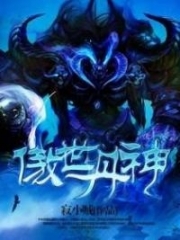 You're reading novel Chaotic Sword God Chapter 1381 online at LightNovelFree.com. You can use the follow function to bookmark your favorite novel ( Only for registered users ). If you find any errors ( broken links, can't load photos, etc.. ), Please let us know so we can fix it as soon as possible. And when you start a conversation or debate about a certain topic with other people, please do not offend them just because you don't like their opinions. You're reading Chaotic Sword God Chapter 1381. This novel has been translated by Updating. Author: Xin Xing Xiao Yao already has 4993 views. Current Time is Apr-18-2019 19:22:40 PM.